Scholastica | Was my reviewer invitation delivered? 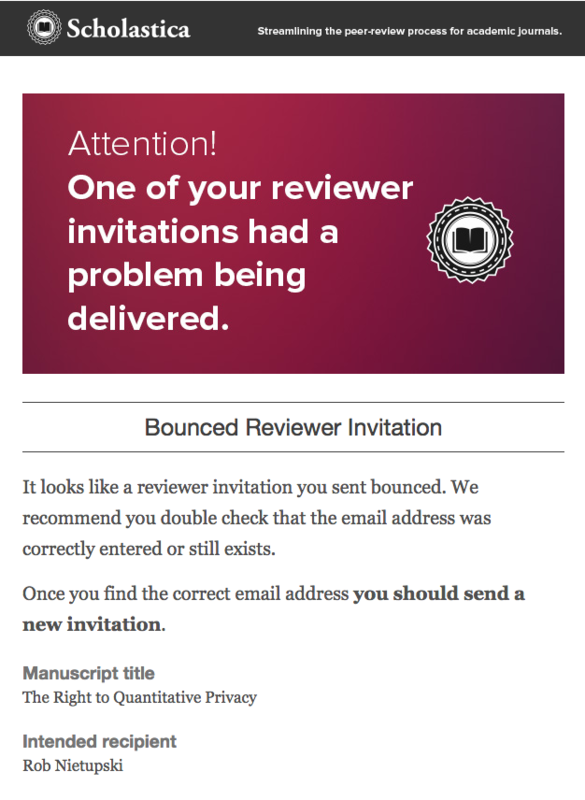 We've all been there—waiting to hear back from a reviewer invitation that you sent several weeks prior, only to find out that the potential reviewer now teaches elsewhere, making that email address invalid. Scholastica gives a heads up when you've invited a reviewer via an out-of-date or invalid email address. You'll receive both an email notifying you that your invitation was not successfully received as well as an error message on the reviewer's invitation status.